Walking into Spot is like entering the set of a random asian soap/music video. Its high panel windows, wooden tables and accents, cute water jars, twinkling lights transmits a warm, welcoming atmosphere that’s both homey and friendly. Good for any date scene or a friends get together. As I await the highlights of a sweet episode to play out, Asian pop music begins playing in my head. Even sans a handsome Asian actor bursting out cheesy dialogue, the variety on their fun menu assures that my spoon and taste buds will embark on a sweet sweet love affair to the far far East and back. First time there, I was excited by the promise of homemade sodas. A sip later, it brought an instant smile, this surely was a treat. The homemade passionfruit soda has passionfruit sorbet, carbonated water, some passion fruit foam (always fun to eat foam) and basil seeds for a little bit of texture. Sweet and tart, icy cold and bubbly. 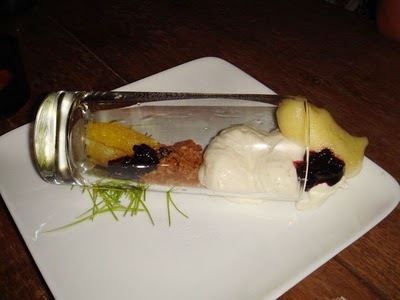 Soft Cheesecake came in this creative “message in a bottle-ish” presentation. Smooth cheesyness with huckleberries, some crunchy bits and foam. Light and melt in your mouth. Jackfruit Cake didn’t quite taste like the fruit, but very moist and caramely, without being too sweet. 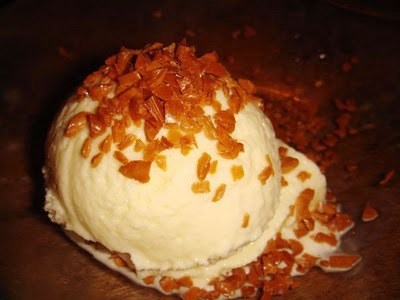 There’s a spoonful of rum toffee, coconut ice cream topped with basil seeds and some nata de coco. 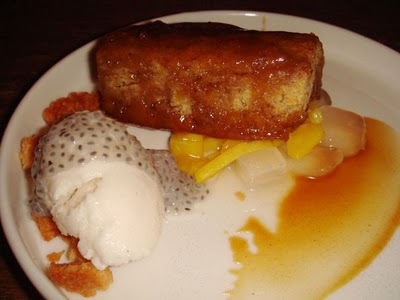 I liked the flavors combined and the mix of interesting textures. My FAVORITE dessert of the night was this Yuzu Eskimo. I adore the citrusy aromatic flavors of yuzu and chef Pichet Ong brilliantly concentrates that into an icy cold and creamy concoction, layers it over an oreo base and voila! Amazing! this is so East meets West and totally original. The strawberries added another layer of fragrance. I would order this again and again. 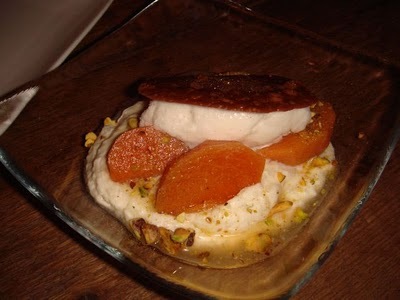 The Poached Persimmon was a good idea at best. Maybe because I’m not a big fan of rice puddingish textures. This was jasmine rice and mascarpone, it just didn’t work well together in my mouth and the pistachio didn’t help either. I rather eat my persimmons solo. Ovaltine, who doesn’t like it right? and even better Ovaltine Ice Cream! genius! where was this man when I was growing up? I would of loved this. 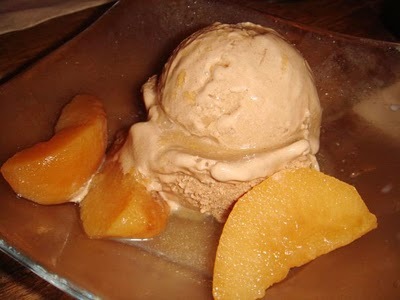 I chose persimmons as topping, my bad, not the best combo, but did I mention this is ovaltine ice cream? it needs no topping, period. Just when I though ovaltine ice cream was great, they bring over our Condensed Milk Ice Cream, of course, this totally makes sense. As much as I love condensed milk, I can’t drink that! so again… genius, let’s have it frozen… yummy, specially with the caramel flakes, extra crunchy and toffee like, love love love. By this point I was already full and satisfied, and when these babies came, I had just waved the white flag. Vietnamese Coffee and Mocha Maldon Salt Caramel Cupcakes, Coconut Macaroon Nutella Almond cookie and the last one, I can’t remember, I was on a sugar high, but judging by everything else we had, I’m sure these were pretty good. 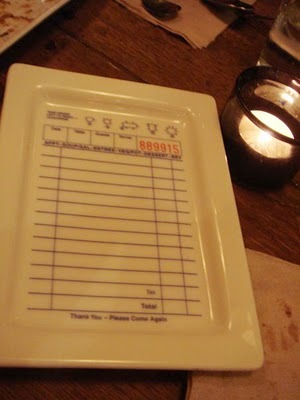 The check comes in this cute plate, my suggestion, maybe write things with erasable markers? One things for sure, this is a sweet spot to start or end any day or night. sounds deliciously wonderful. definitely adding it to my list of places to have dessert at very soon. 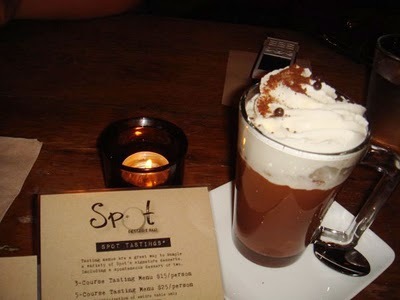 My friend and I visited Spot Dessert Bar on Friday and it was a bit disappointing. 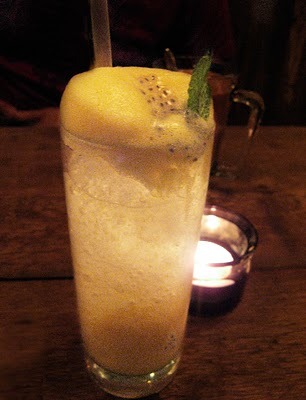 I think the best thing we ordered was the Passion Fruit Soda. I believe those seeds are actual passion fruit seeds. The green tea lemon cookie was very dry (like a tea cookie) and not full of flavor. We also ordered the Vietnamese Coffee Cupcake and Condensed Milk Ice Cream and they also weren't impressive. 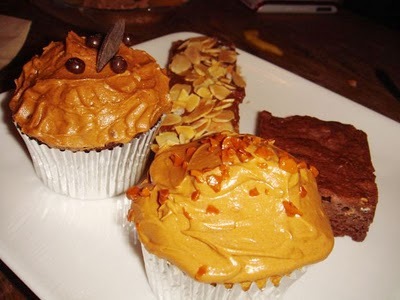 The cupcake was too sweet and dry. The ice cream was too sweet and icy. 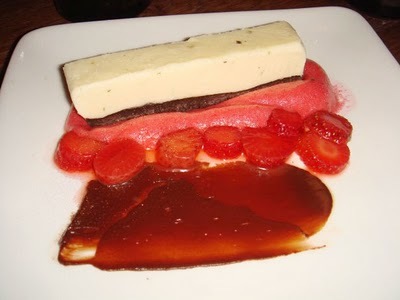 The presentation of the desserts was really perfect though. I guess we may have expected too much! Passion fruit seeds are bigger and more slimy, plus it would have alot of passion fruit flavor, so I'm pretty sure those aren't…. I really liked the eskimo, you should try that. Well I assent to but I about the brief should prepare more info then it has.